Where Does Our Tone Come From? How Do We Change It? 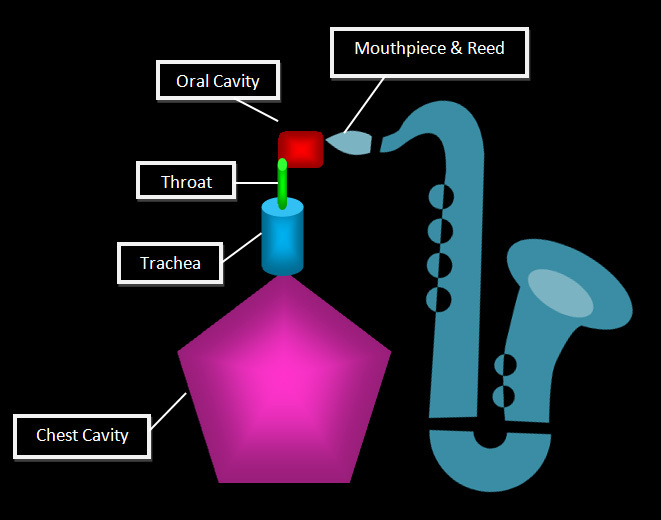 In my previous article on tone, I discussed the 3 aspects of a saxophone’s tone. 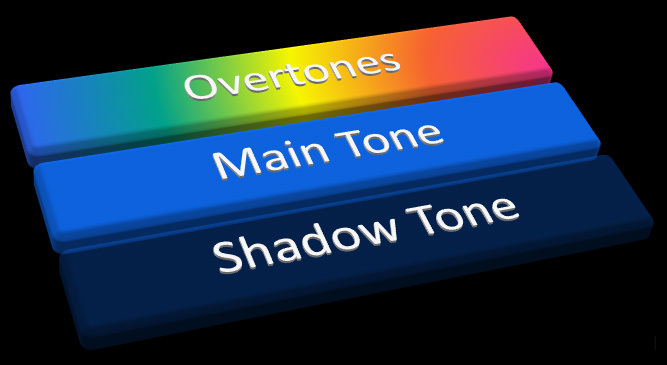 Now while main tone, shadow tone, and overtones are all components of tone, where does a saxophone player’s tone actually come from? I was having this precise conversation with someone the other day, and was relating this concept of tonal origin to the quest for gear. Our unique, individual sound originates in our chest cavities. Our internal shape, our lung capacity, and the breathing techniques we use: these are some of the key originating factors that will determine the sound that will eventually come out of our horns. As the air travels through our throats, and through our oral cavity, those internal structures further effect the sound.¹ As the air leaves our mouth, our tongue, and what we do with it, our teeth and the shape of our bite, our lips, and the embouchure we use, all will—to a great degree—determine the sound we have. The mouthpiece on a saxophone is what allows the player to project his/her tone through the horn itself. The reed further shapes and refines the tone that has travelled up through the player’s body, and allows the player to make more minute adjustments to his/her sound. What is difficult for most players to get their head around, is that the further you get away from the origin of the tone, the less tinkering, or making changes to gear, is going to have an effect on your saxophone tone. In a way this difficulty in understanding or believing makes sense, since buying a piece of gear to fix a particular problem, or to change the type of sound emanating from your horn, seems like an easier fix than changing a fundamental way you play your instrument. Well, if we assume for a moment that by darker we mean more main tone presence, then trying different mouthpieces with a smaller tip opening and harder reeds, is going to net more satisfying results than buying a different sax. If on the other hand, a player is looking to improve their overall tone, rather than going out and buying a $500 mouthpiece, a player needs to start by working on the fundamentals of good saxophone sound. And as boring as this might sound, doing long tones is one of the necessary steps to do this. I do long tones religiously every time I practice. That’s how I start my practice session. I don’t do hours of them, I do them for about 5 minutes. That’s all it takes to keep my chops in good shape. And as much of a cliché as this might be: If I can’t do anything else, I do long tones. BTW, if you play more than 1 type of sax, you need to do long tones for each of them. So if you play alto and bari, you should be doing long tones on each one of them—ideally everyday. If that doesn’t work for you, then at least do long tones on the sax before you play it. If you’ve already done long tones on the alto, and have put in an hour of practice, and are now switching to bari, you should do long tones on it, before you go on to the next part of your bari practice routine. The gear is clearly not intended for the use. Eg: A classical mouthpiece for use in the rock band that just hired you. Want to move up from a student horn to an intermediate or pro-level horn. Work with your teacher. Don’t have one? Get one. Don’t rely solely on sax discussion boards for answers. While these boards can be a valuable source of info, and most of the people there are well intentioned, many times you don’t know who you’re talking to. It could be someone with less playing ability or experience than you have. It would be impossible to deal with all the possible variables of saxophone tone in a few articles. This is really the realm of books, and private saxophone teachers. My goal with this series is to try to write few different articles that cover some of the big-picture aspects of saxophone tone, and recommend further resources where you can get more in-depth information. There are 2 really valuable print resources that every saxophonist should have in their library. Both of these books will assist a player in developing their tone. David Liebman’s, Developing A Personal Saxophone Sound, is a bit difficult to find in hard copy. I did manage to locate it through David Liebman’s website though. Just go to his Shop page, and follow the link on the order button. If by the time you read this, the hard copy is no longer available, check out the e-copy on Scribd. The Art Of Saxophone Playing, by Larry Teal, is available through Amazon.com. This has been a bible for saxophone players for a number of decades now, and for good reason. If you haven’t read it, and you are serious about playing saxophone: buy the book. You won’t regret it. It is a very handy reference manual to have in your library. ¹ For an in-depth discussion of exactly how the larynx and the vocal chords effect your sound, please read Developing A Personal Saxophone Sound, by David Liebman.